Set in Kenya’s less-visited arid northern savannahs, the Samburu Reserve offers a different but equally rewarding experience to the more famous Masai Mara. A Samburu safari takes you into a diverse landscape of open grassland, palm groves and thick riverine forest. 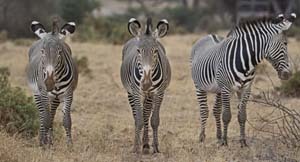 Wildlife here ranges from the familiar – elephants, buffalo and hippo – to animals you won’t see anywhere else in Kenya, showcased by the Samburu “Big 5”: Grevy’s zebra; the long-necked gerenuk; reticulated giraffe; besia oryx; and Somali ostrich. Samburu is a good for predators too: all the big cats – lion, leopard and cheetah – are resident and it is one of the few places in Kenya where visitors may see African wild dog. 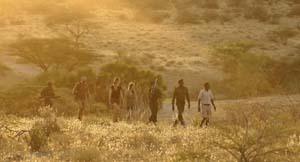 A Samburu safari offers other opportunities to interact with the environment and its people. You can explore by mountain bike and on foot – or even from the back of a camel. And with around 450 recorded bird species, the bird watching is excellent. 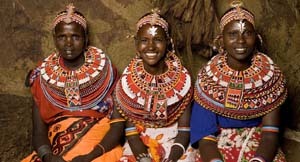 Guided visits to local Samburu communities can be arranged and there are opportunities to sit back in the evening and be entertained by traditional song and dance. Generally a fly-in destination, the Samburu Reserve makes a great addition to a larger safari itinerary in Kenya. There is a wide range of accommodation both in the reserve and on adjoining private concessions; some are family-friendly and offer kids programmes and larger chalets; other lodges are smaller and more discreet – perfect for honeymooners and romantic travellers. Several lodges are extremely luxurious, complete with wellness spas, swimming pools and internet access to ensure every comfort. Talk to Safari Online about a Samburu safari and we’ll recommend the best tour and accommodation for your budget and interests. We have a range of safaris that combine Samburu with Kenya’s classic safari destinations such as the Masai Mara and Amboseli National Park. 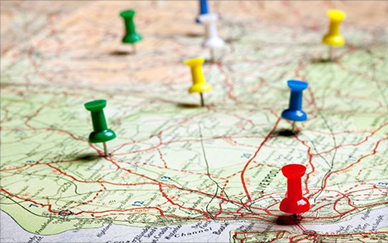 We can also tailor-make an itinerary for you, combining Samburu with your choice of safari destinations in Kenya and across East and Southern Africa. 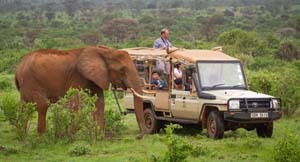 Professional guides lead morning & afternoon game drives in open-sided vehicles – perfect for close up views & photography. Lodges located in private Samburu reserves offer full-day drives in the reserve; specialist guides – bird experts for example – are available at some lodges. There are lions, leopards, buffalo & elephants in Samburu but you can also tick off the reserve’s five iconic animals: Grevy’s zebra, the gerenuk, reticulated giraffe, besia oryx & Somali ostrich – arid savannah specialists best seen in Samburu Reserve. 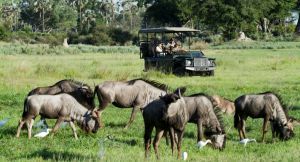 Lodges in private concessions can offer guided nature walks as an extra activity, usually taking place in the late morning after your game drive and breakfast. Led by an experienced guide, these walks are especially recommended for birdwatchers & those keen to discover the smaller details of the landscape. Related to the Maasai, the cattle-owning Samburu people have lived in the area for many hundreds of years; you will have the chance to watch their traditional songs & dance as well as experience local life on a guided visit to a Samburu community. 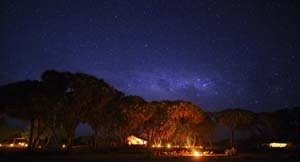 Lodges in private Samburu reserves offer spot-lit night drives in addition to morning & afternoon drives; it’s the best way to see Africa’s elusive nocturnal animals, ranging from giant owls & porcupines to bush babies & wild cats.